If you are looking for the very best price to scrap your car in Bradford, look no further than Scrap Car Comparison. Here at Scrap Car Comparison, we’ll help you find the best possible price for your scrap car in Bradford, no matter where you are located. Using our independent comparison service, you’ll have access to deals from over 100 of the very best scrap and salvage yards across the UK. You’ll be able to select the best deal for you and we’ll even come and collect your car from Bradford, completely free of charge. Whether you’re based in Addingham, Baildon, Bingley or Harden, or any other area in Bradford, you’ll have access to the very best possible deal for your damaged or scrap car. If you’re looking to scrap your car in Bradford, contact the experts – Scrap Car Comparison! Knowing where to go to get the best deal can be difficult when looking to scrap your used car in Bradford. Luckily Scrap Car Comparison has you covered and will ensure you find the very best deal. We’ve built a network of approved, trustworthy and reputable wastage sites and salvage buyers across the UK, enabling a convenient method of comparing prices and securing the very best possible quote for your scrap car. We’ll compare scrap and salvage yards in Bradford and across the UK to find the best possible price for your scrap or damaged vehicle. And you can rest assured that there’s no extra costs or hidden charges. 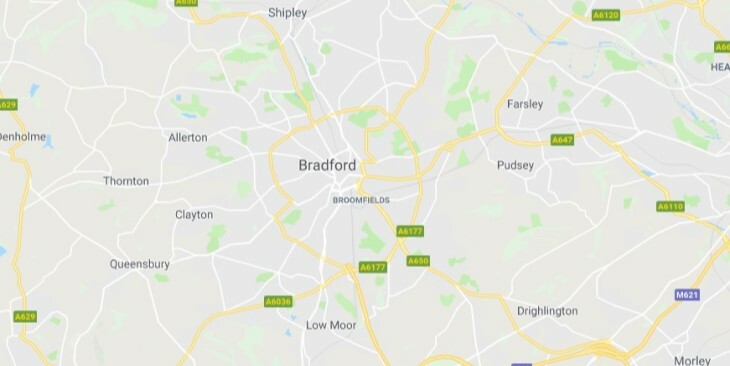 Wherever you are based in Bradford, we’ll collect your scrap car and deliver it to your chosen scrap yard, free of charge, at a convenient time and date that suits you. This is thanks to our expansive network of collection agents located around the country. To find out more about scrapping your car in Bradford or to find out how much your scrap car is worth, get in touch today, we’ll be happy to help. We monitor the market to ensure that the price we quote is not only guaranteed but is very competitive. Price is often a factor in customers choosing to have their car of van collected by us. “Received a decent price for the condition that the car was in. Top service. Cheers” – 5 Stars! Customer B (Steve W) needed his car collected for different reasons – his vehicle was a Cat S write-off but was not worth repairing. We collect from all over the UK, so wherever you are and whenever you need us to come and collect, we’ll be there. Get the process started by completing a free quote today. Here are some of our larger collection areas.